This charming black forest pin tray is modelled as a Skye Terrier dog and was produced in Switzerland during the 19th century, circa 1890. The hand carved dog is finely modelled and features a rotating head. We love its black glass eyes, painted red tongue and its shiny nose. Please note the head is not removable. The dog is in a recumbent position with its food tray/pin tray resting beside it. This is such a quality little item that is perfect for anyone who loves dogs. It would display excellently on your writing desk or as part of your black forest collection. 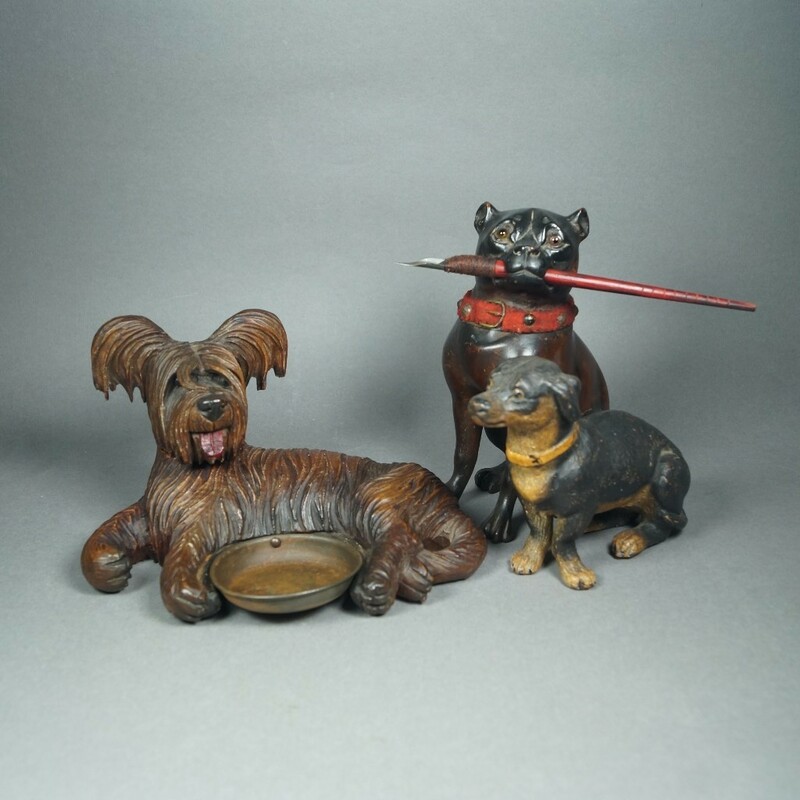 Please see our collection of dog and cat related art and antiques listed separately in our store. Measuring: Width 6 3/8 inch (16.5 cm) by depth 4.75 inch (12 cm) by height 4 inch (10.5 cm). Condition: Front right paw has been well restored, not visible when on display, only just visible from the underneath.